Kevin Puts Air for Flute and Piano performed by the Bach Dancing & Dynamite Society, Stephanie Jutt, flute; Jeffrey Sykes, piano, in the Hillside Theater, Taliesen, Spring Green, Wisconsin on June 12, 2016. 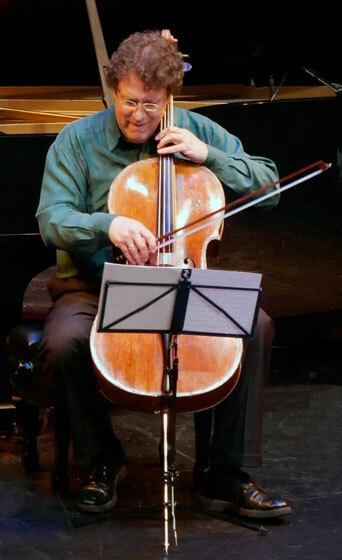 Ravel’s Don Quichotte a Dulcinee performed by the Bach Dancing & Dynamite Society, Timothy Jones, bass-baritone; Jeffrey Sykes, piano in the Hillside Theater, Taliensen, Spring Green, Wisconsin on June 12, 2016. Franz Schubert’s Piano Trio in B-flat Major, D. 898 performed by the Bach Dancing & Dynamite Society in The Playhouse, Overture Center, Madison, Wisconsin on June 17, 2016. In at the Eye, Six Love Songs on Yeats’ Poetry, by Kevin Puts. World Premiere performance by the Bach Dancing and Dynamite Society, in The Playhouse, Overture Center, Madison, Wisconsin on June 11, 2016. Flute Quartet in C Major, K.570 by Mozart, arranged by Robert Stallman, performed by the Bach Dancing & Dynamite Society in The Playhouse, Overture Center, Madison, Wisconsin on June 11, 2016. Music from the Movies by Rota, Bacalov, and Mancini arranged by Pablo Zinger performed by the Bach Dancing & Dynamite Society in The Playhouse, Overture Center, Madison, Wisconsin on June 18, 2016.